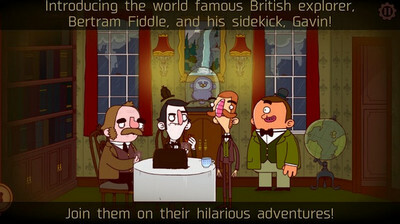 The Android version of Bertram Fiddle: Episode 1 - A Dreadly Business (version 1.11) is now on the Play Store and it's a solid first installment in a three-part cartoon murder mystery series. The excellent cartoon art design and animation, combined with good voice acting and simple but effective gameplay make this game a must for Point and Click fans. 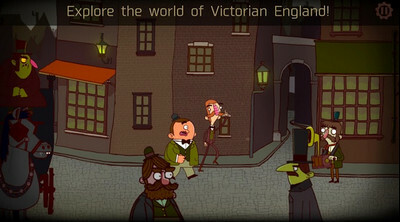 A new point-and-click to fall in love with. The subtitles can't be turned off in current version 1.0, but I'm sure it'll be patched soon. I can't wait for Episode 2! - Intrigue, murder, mystery and terrible PUNS! 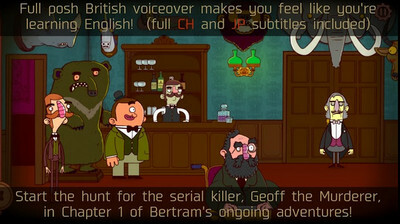 Install Apk, Extract SD DATA and copy ‘com.chorusworldwide.bertramep1’ folder to sdcard/Android/obb, Launch the Game!